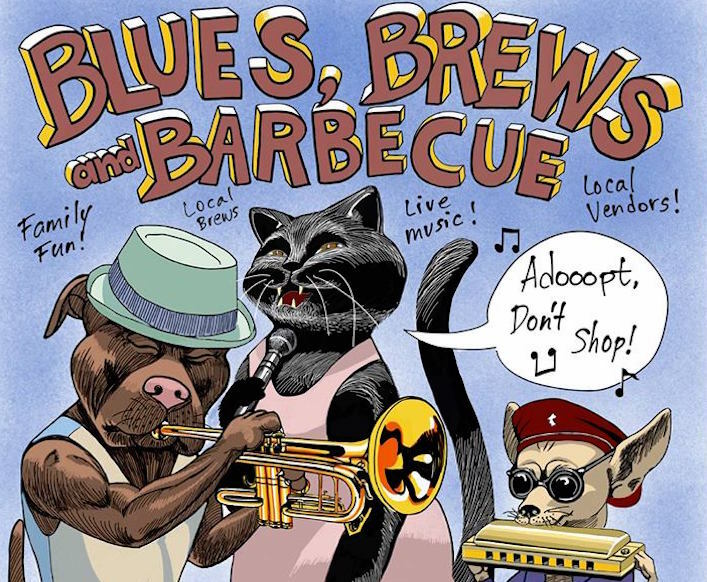 Blues, Brews and Barbecue is a fundraiser for the Rogue Valley Humane Society. Enjoy family fun, local brews, live music and local vendors! A day in the sun enjoying food, music and fun times with the family at the beautiful Tom Pearce Park in Grants Pass Oregon! September 8th 2pm – 7pm, $25.00 per person, includes entrance to park, one beverage, one plate of food, music, classic car show and vendors!!! All proceeds will benefit the animals at the Rogue Valley Humane Society. We are a non-profit, no kill facility helping animals four paws at a time! Featuring bands Phil Newton and David Pinsky and Rogue Rage Duo, Peter Cipes Band and Leonard Griffie Blues Band!! What a great line up!! Tickets are $25 and are available at the Rogue Valley Humane Society at 429 NW Scenic Drive, Grants Pass, OR. Visit our Facebook page at Facebook.com/rvhsadopt.